It’s a literal fight for love in this fast-moving shifter tale in the popular Masters of Maria series. For coyote shifter Blue Shapely, becoming the new alpha of Maria’s pack is his long-awaited chance to be his own man and eliminate chaos from the town. Unfortunately, the pack’s patron is thwarting him at every turn. 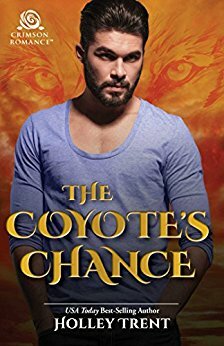 After being magically attached to the Coyote group for more than a century, demigoddess Willa Matheson has a soft spot for them—even the dangerous ones threatening to expose them to humans. She may have hired Blue to rein in the pack, but the two constantly disagree on strategy. She doesn’t want to upset anyone, whereas he’ll do whatever it takes to get his Coyotes in line. And to make things worse: all signs point to the anxious demigoddess being his mate. But developing a tenderness for Willa will be an obstacle to Blue’s determination to be as ruthless as he needs to be. If the duo can’t find a way to retract their claws, and soon, it may be too late to protect the pack’s secret—and their own hearts. There’s room in a heart for more than one kind of love. Dara and Adrien Valliere are soul mates and best friends…but they’re not lovers. Their marriage may be unconventional, but it’s satisfying and loving, and they’ve never needed anything or anyone else. 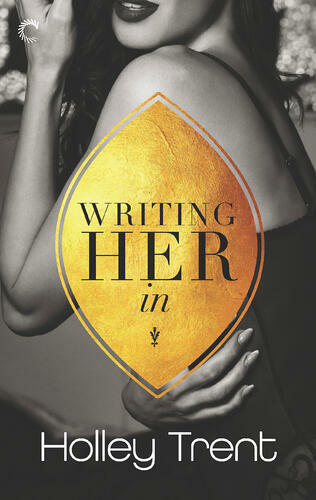 Until they met writer Stacia Leonard. Stacia built a career on maintaining close ties with her fictional characters while keeping everyone else at arm’s length. She avoids intimacy, apart from a few one-night stands when the loneliness and need become too much. But when Adrien Valliere, her cover model and long-distance friend, invites her for drinks, she’s too fascinated to refuse. Dara recognizes the physical attraction between her husband and Stacia and sees it for what it is: an opportunity to help Adrien get what he needs. Dara can breathe easy knowing that both she and her husband are happy. Before long, though, it’s clear that Stacia’s connection isn’t just with Adrien… She and Dara have something special, and it’s something neither of them can—or want to—deny.